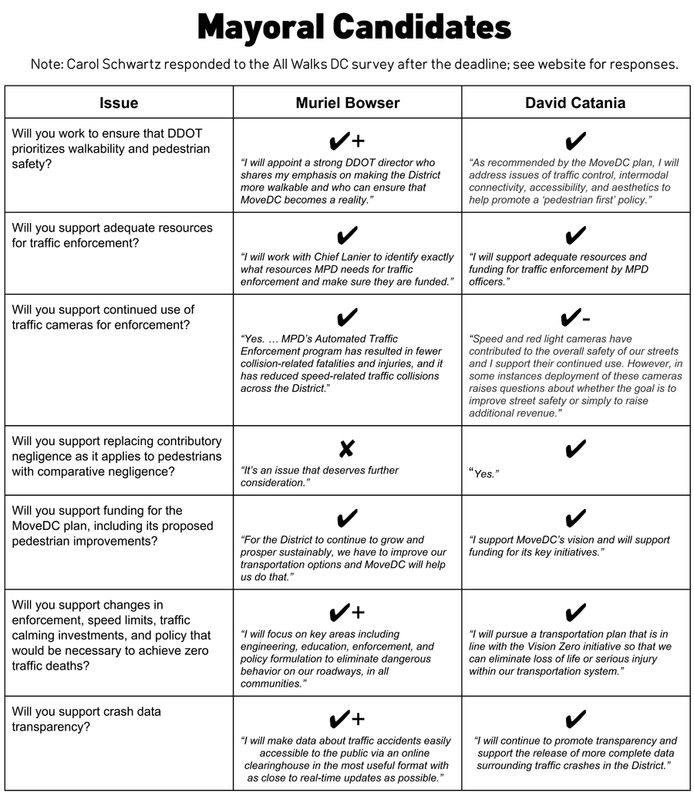 In the fall of 2014, All Walks DC asked candidates for mayor, city councilor at-large, and attorney general to share their views on walking and pedestrian safety issues, and distributed hundreds of scorecards to voters at Metro and bus stations around DC. As part of her response to this survey, Muriel Bowser committed to a Vision Zero policy for the District of Columbia, and followed through by implementing that policy once in office. Click here full mayoral candidate answers. 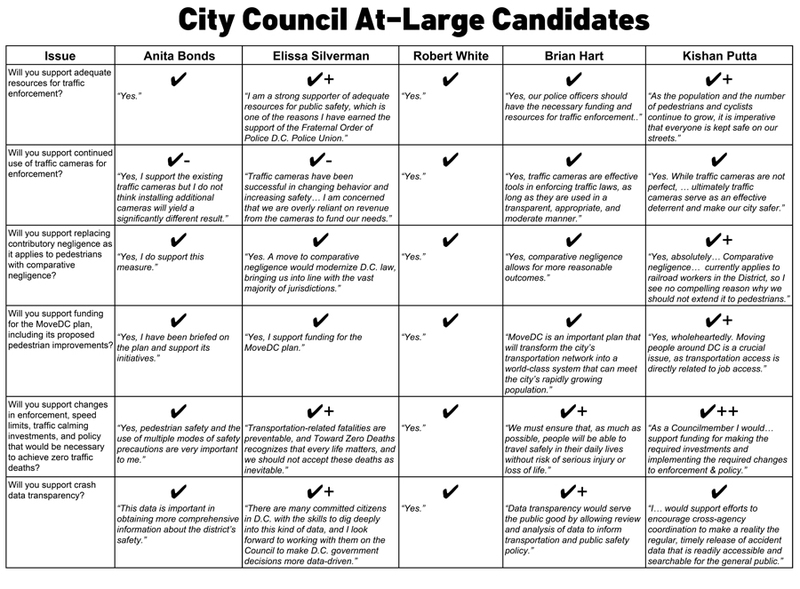 Click here for all full city council candidate answers. 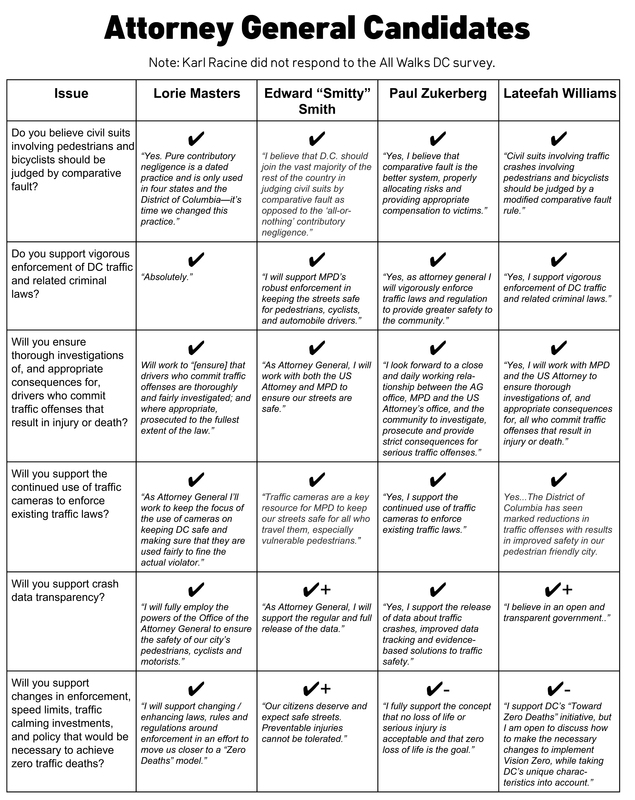 Click here for all full attorney general candidate answers.